The following images were captured at noon on the 27th October 2003 by Graham Ensor. 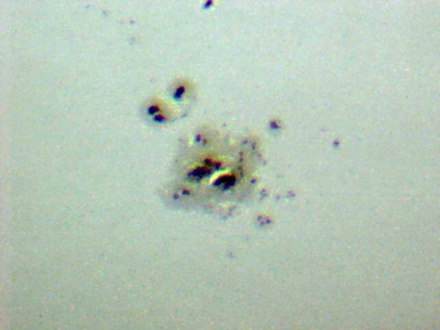 He used a Mavica digital camera to photograph the image of the Sun projected by his 3-inch Watson and Sons 'Century' refractor. The image was then processed in Photoshop. 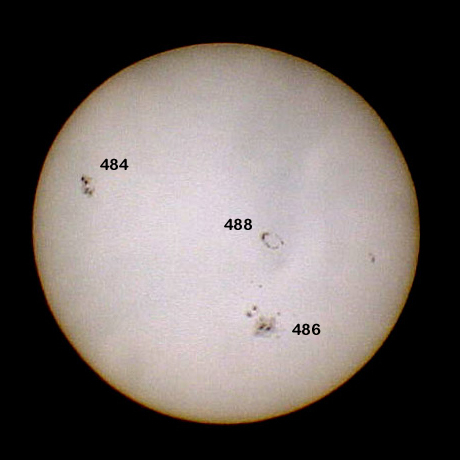 Sunspot numbers are given. 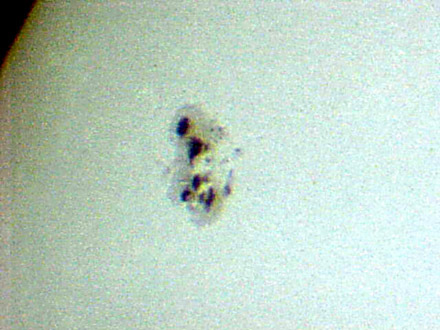 The ring shaped circular sunspot group 488 produced a major solar storm which caused enhanced aurorae, radio disruption and the malfunction of two Japanese satellites.